Our fantastic London Guitar Teachers cover the whole of Greater London and the surrounding counties. But in this series of blog posts we will focus in on specific areas of London, and tell you about the Guitar Lessons that Bruce Music provide in those areas. 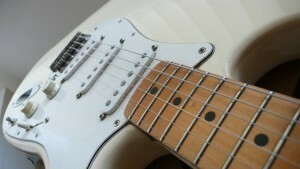 Today it’s about our Guitar Lessons in Camden, NW1. Camden is an area of London that is well-known for its Music scene, music venues and music history. Guitars and Camden go hand-in-hand throughout its Music history. From Rock ‘N’ Roll and Punk at The Roundhouse, to Oasis Vs. 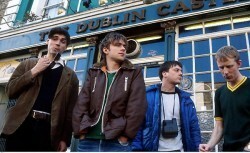 Blur, to Coldplay and Franz Ferdinand’s early gigs at The Dublin Castle, to secret, intimate gigs in recent years by Noel Gallagher, Pete Doherty and the late great Prince. More on all this below. Camden is one of the London areas richest in Musical history. From the buskers beneath Camden Lock’s famous bridge, to Dingwalls, to Camden Market’s ghetto blasters to Chalk Farm’s Proud Stables, to Camden Road’s venues and rehearsal studios, this hub in North / North West London is famous for iconic Music venues like The Roundhouse, The thriving Guitar-driven Britpop Scene of the 1990’s, Ronnie Scott’s world-famous Jazz Club, and the life, career and untimely death of superstar Amy Winehouse. 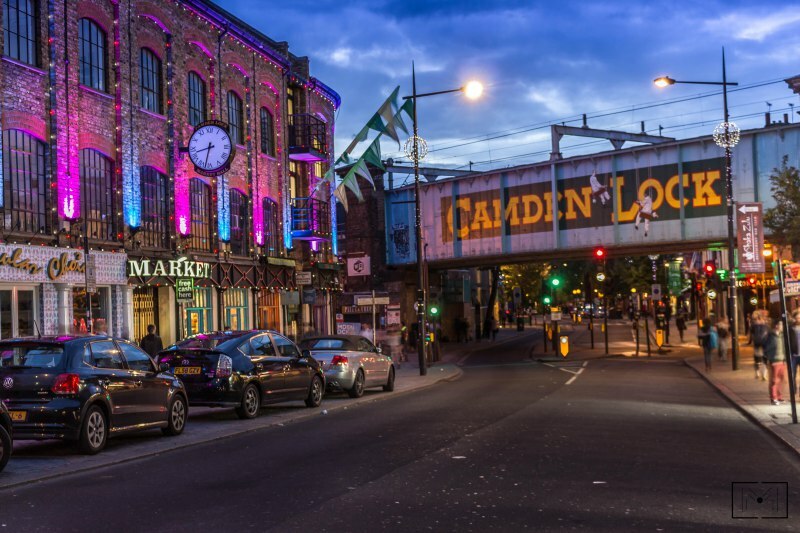 Camden Lock’s Music History Resource – Everything you need to know about Music and Camden, from Pink Floyd at the Roundhouse in 1966, to stories from the 90’s, to a Goth’s Guide To the area. 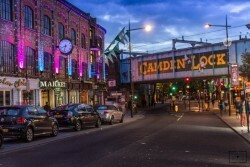 Camden Rock ‘N’ Roll Walking Tour – As featured in the Huffington Post here’s more on Camden-based Alison Wise’s Rock ‘N’ Roll walking tours of Camden. You’re sure to learn a thing or two. As well as our Guitar Lessons Camden, NW1, our Guitar teachers can cover the surrounding areas, including Chalk Farm, Primrose Hill, Kentish Town, Mornington Crescent and Holloway. We travel to you in any of these areas of London to provide you with the highest quality Guitar lessons. See you soon in Camden for your Guitar Lessons! Guitar Lessons Camden NW1 – A Service provided by Bruce Music.